Protective Covers are a must to keep your patio furniture and outdoor accessories looking new and usable for many years. A must have during the harsh winter weather, but come in handy to protect from the summer sun damage. 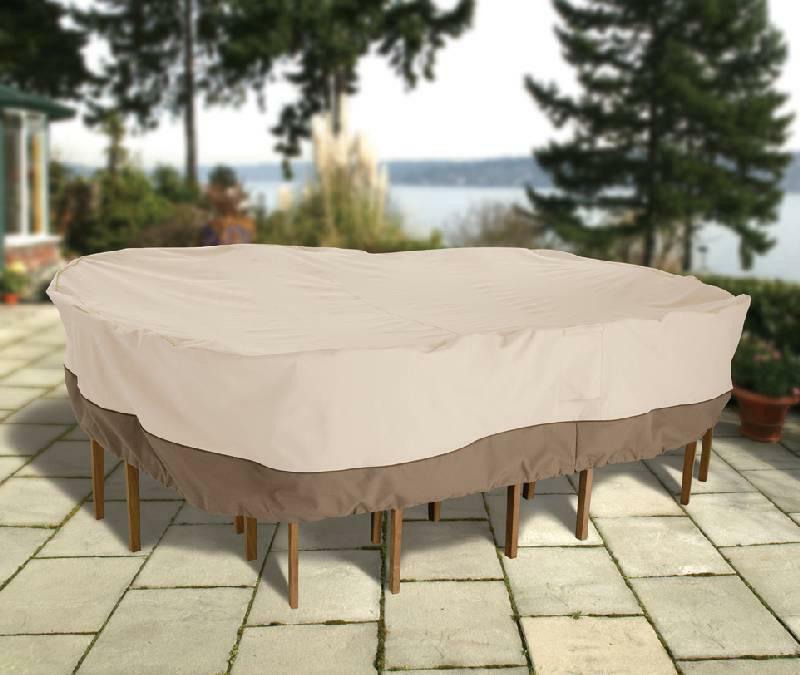 Easy to put on and take off these covers will keep your table and chair set looking like you just bought it and will provide the protection needed to keep using your furniture for years. Whether you are entertaining or just relaxing and enjoying the outdoors with your family, you can create a comfortable living area outdoors to enjoy nature's beauty. Since your patio is an extension of your home, you will want to protect your investment. All of the Veranda protective covers are manufactured and tested adhering to the strictest quality standards to ensure years of satisfaction and continued long lasting use. If you are unable to put your Outdoor Patio Furniture and Patio accessories in an enclosed storage area when not in use, then protective covers are the solution for protecting them from the extreme conditions. You must take into consideration before buying an Outdoor Patio Furniture Cover that it must be water resistant and UV treated so that your cover can handle any extreme weather conditions. Performance features include the tough Rain-Tite fabric that protects from rain, snow, sun and dirt and this material will not crack in cold weather. Air Vents reduce inside condensation and wind lofting so you don't lose your cover on those brisk, windy days. Click close straps will keep your cover secure during windy conditioins and the padded handles make it easy to fit and remove. The Veranda protective covers do not stain, soil, soak, or deteriorate. They are very simple to maintain and keep clean. 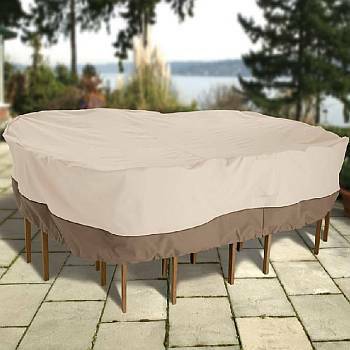 All Veranda protective covers come in an beautiful neutral Beige and Brown color that will add a touch of class to any outdoor decor. The Veranda protective covers are made to withstand and protect your outdoor patio furniture and patio accessories for all parts of the country and no matter what the weather conditions.